前場：Wesch NN, Milne MI, Burke SM, Hall CR: Self-efficacy and imagery use in older adult exercisers. European Journal of Sports medicine 6, 197-203, 2006. 島崎：Latimer AE, Brawley LR, Bassett RL: A systematic review of three approaches for constructing physical activity messages: What messages work and what improvements are needed? Int Journal of Behavioral Nutrition and Physical activity 7:36, 2010. 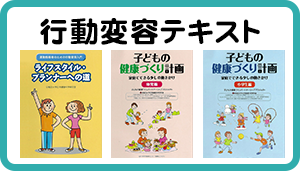 堀内：Shilts MK, Lamp C, Horowitz M, Townsend MS: Pilot study: EatFit impact sixth grader’s academic performance on achievement of mathematics and English education standards. Journal of nutrition education and behavior 41, 127-131, 2010. 斉藤：Krebs P, Prochaska JO, Ross JS. : A meta-analysis of computer-tailored interventions for health behavior change. Preventive Medicine 51, 214-221, 2010.